STEEM SUPPORT ADDED! EXCHANGE STEEM TO 140+ CRYPTOCURRENCIES INSTANTLY!steemCreated with Sketch. We are happy to announce that OnePageX.com now supports STEEM! Trade STEEM to 140+ cryptocurrencies! Many Steemians have asked about adding support for STEEM and we are extremely excited to announce the added support for STEEM. That's right! 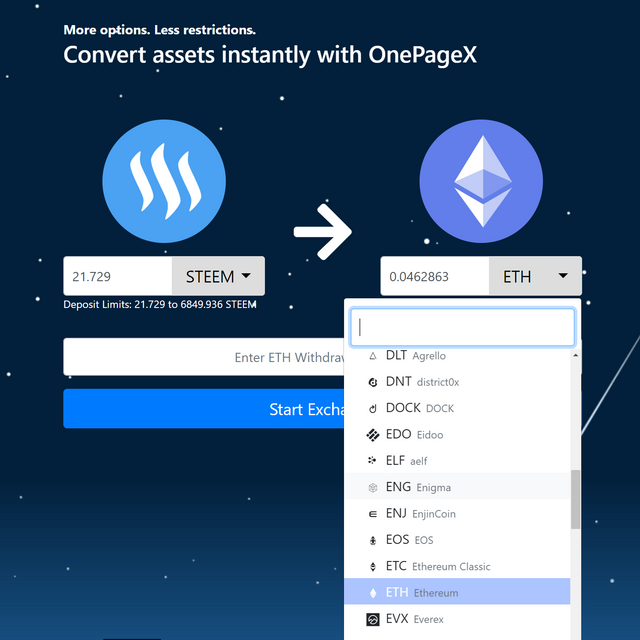 Go from STEEM directly to any of the 140+ assets supported on OnePageX.com. We love the Steem community, and want to thank the users who have given us input thus far! We are always paying attention to user input to bring you the best cryptocurrency conversion experience possible! OnePageX.com is available on both mobile as well as desktop display. Feel free to try us out on your smart device as well! @onepagex I Just want to be sure but when I have successfully use an input address for a transaction can I keep reusing that input address to convert to the same output address does it have an expiration time so that I need to make new input address if I exited the page? The input addresses are good to continue using to the linked output address. They do not expire. Hi @ssjsasha, thanks for your comment. We hope you have a chance to give us a try sometime! Nice work guys. I'd love to connect on an introduction call sometime! Also, we are now offering ads on steemit.com so I'm happy to chat about that as well if you are interested. Hi David. We will definitely reach out! Hi @master-set, thanks for your enthusiasm! Great steem has been added. Just tried the system. 15 min wait I will write a short post the minute everything does through. We need more service like that to make steem widespread. I'll be looking for that post..
That's great! We hope you like OnePageX. Let us know if you have any issues! I found that on your site. It sounds great to me. Not having to register somewhere, to exchange currencies, is awesome. Sounds like fees are just over 0.5%, and transactions tend to take about 10-15 minutes? Not being super crypto savvy, but loving the Steem blockchain, this seems great to me. My main concern would be security. There are many warnings right now all over the place, warning Steem users to NEVER give their keys to an untrusted 3rd party. So the solution seems to be to find out how we know we can trust you with our keys. How long have you been around? Firstly, thanks for your comment! We want to make it clear that OnePageX.com never has, and never will ask for your private keys! 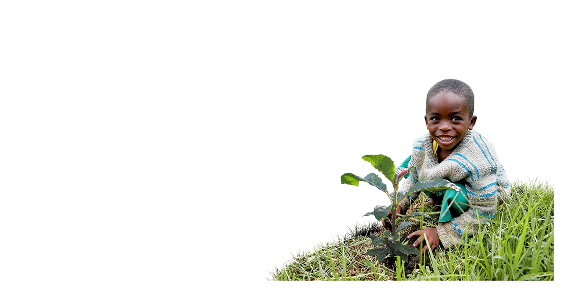 We have been continuously improving our service and adding support for more assets in the months that we have been operating. As an exchange service, we focus on converting your cryptocurrency as quickly and easily as possible. Select the coins you wish to convert. You can see an estimate of the transaction at this point. Enter your receiving public address so we know where to send your coins. Click "Start Exchange" to generate your unique deposit address. Send funds to your deposit address and they will be instantly converted to your desired output coin. You can see the live status of your exchange as it progresses from start to finish! We are glad you find the service convenient! Please feel free to contact us via contact form or live chat on OnePageX.com if you have any questions or concerns. Thanks for the additional info. I can only progress so far in a transaction, because I don't have anywhere to send other funds (like Cardano) to. Nice to hear how the rest of it works! I'll likely try you out sometime soon. Being able to move between currencies easily (for a reasonable fee) is something I feel we need more of. It's super early days right now of course, but at the very least this is something of interest to me as a monetary theorist! Thank you. Thank you for the shout out @drutter! Great to see another Cryptocurrency business on Steem! there is potential in being a part of a social media community that is mostly already familiar with the cryptocurrency and the idea of decentralized platforms. Hope to read more great stuff from you! Thank you @coingecko! CoinGecko is a great resource for many cryptocurrency users worldwide. It's great to see that you are on here as well! One big problem I'm having with your service so far is the transaction minimums. For Steem it was about 20 when this first went up a week ago. Now it's 25. Is this going to keep going up? It won't be long before most common users are priced out. Yes, we are also very excited to take part in the STEEM community and be a part of the growth! I have read very good things about this exchange and I am glad to know that you have finally added the steem currency. Hi! Thank you for your kind words. We are excited about having added support for STEEM. It's a great community and we are happy to see it so well received. Great Exchange that you have build, and we love to see Steem as one of the main currencies to convert from. Will you add other cryptocurrencies like EOS as well to the main pool? We are always working on adding more assets. We will be sure to notify the community when new coins are added. Will you guys eventually add SBD as well? It is definitely a possibility in the future! Just a question here! How would we use your service to convert steem in South Africa? OnePageX.com allows you to convert STEEM into any of the other 140+ cryptocurrencies (BTC, ETH, XMR, etc). Once you pick the second currency (the output), just enter your address for that crypto and click on "Start Exchange" to begin the process! Just go to the website, pick STEEM as an input currency and pick whatever you want for the output and follow the instructions. I hope this answers your question! You mean I don't have to jump through hoops uploading my ID over and over again only to be denied before finally giving up such as on that other exchange? 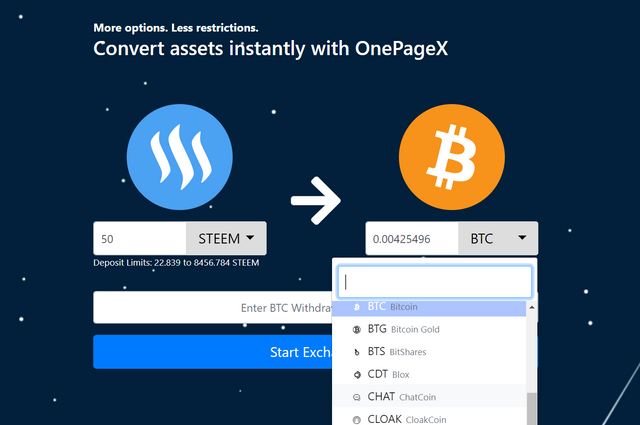 Could @onepagex be the frustration-free way to trade #STEEM? Yes, our goal is to make cryptocurrency conversion easy and seamless. 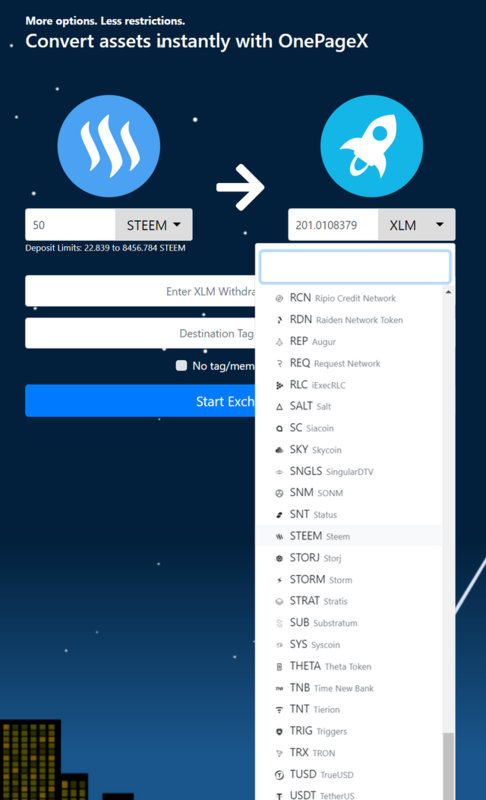 Now with STEEM as one of our core currencies, you can easily exchange between STEEM and over 140 other cryptocurrencies! It would be great to have an alternative to @ blocktrades. But why so high minimal limit? When testing a new exchange or a new withdrawal method, people usually transfer a small amount first, something like 0.1-1 STEEM to check that everything works fine. With 23+ STEEM, the cost of risk may seem too high for small holders. Hola amigos... me presento soy Joel Esteban Rebolledo Moncada y soy nuevo, quiero invitarles obviamente a los que quieran a comentar mi publicación y decir que les parece. Hello @onepagex! This is a friendly reminder that a Partiko user has just followed you! Congratulations! Thank you for the kinds words! Let us know if you have any questions!